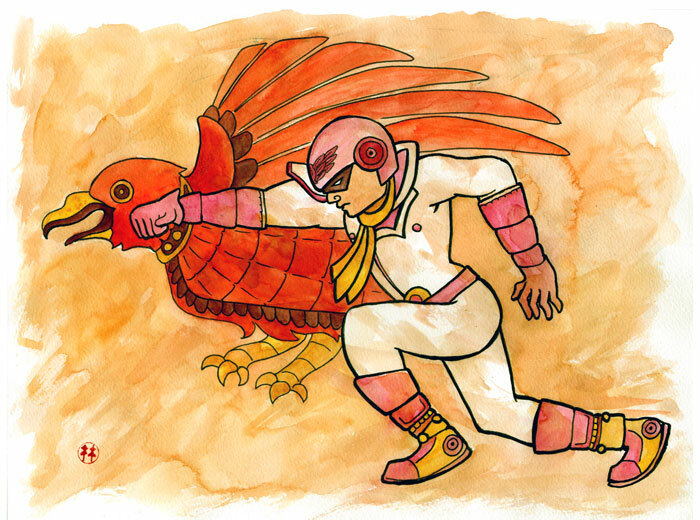 A suggestion from Reddit – an Aztec styled Captain Falcon. John suggested styling him after an Eagle Warrior but I think I would have had trouble reconciling the costume and the character if I went that way. Plus, I’d already started inking by the time he made that suggestion. A commission piece! 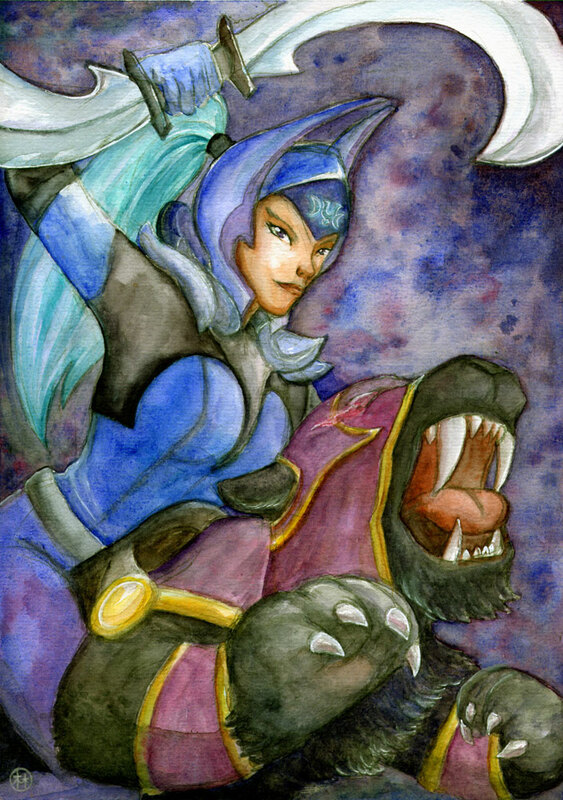 Luna from DotA 2. My scanner was quite kind to it, I think. However the scan doesn’t show the sparkly effects it has – I used some fancy sparkly watercolours to glaze over a few spots. Not sure whether I overdid it a bit, this non-sparkly version does look pretty good as it is!